The Trickle Tray by Better Living is the fresh answer to wet, smelly sponges and soft, sticky soap. The channels direct water into a sink or bathtub and allow air flow to help with the drying process. Great in the kitchen, bath & laundry room. Replace that messy soap dish with the Trickle Tray or use it as a sponge holder in the kitchen. The Trickle Tray is available in many colours to match any decor and add a burst of freshness to your kitchen or bath! Wet/dry technology helps reduce styling time as it dries wet/damp hair as it straightens. The Vero vanity tray makes the perfect style statement in your home. The crisp lines of the collection are the cornerstone of Vero's minimalist styling giving the collection a thoroughly modern yet timeless feel. The Champagne Bronze finish also makes this accessory an on trend style statement. Use the tray in the bathroom to hold soaps, guest towels or to hold your jewelry and watch while you wash up. Small rubber feet at the bottom of the tray protect your counter top too. Don't feel limited to using this piece in the bathroom - designers have used this piece in their kitchen as well! The Vero collection has a full suite of faucets, showers and accessories for the bath. If you're worried about slipping on the ice or snow while using a cane, walking stick or crutches, minimize your risk of falling by using this DMI ice grip attachment. This removable, retractable, adjustable walking stick attachment with 5 teeth bites into ice to improve stability when walking on icy roads or pavements. The five-point stainless steel base locks in place during use and easily flips up for indoor use. It attaches easily to most canes or crutches with only two screws (included). Note: each package contains one ice grip. You will need to purchase two for crutches. 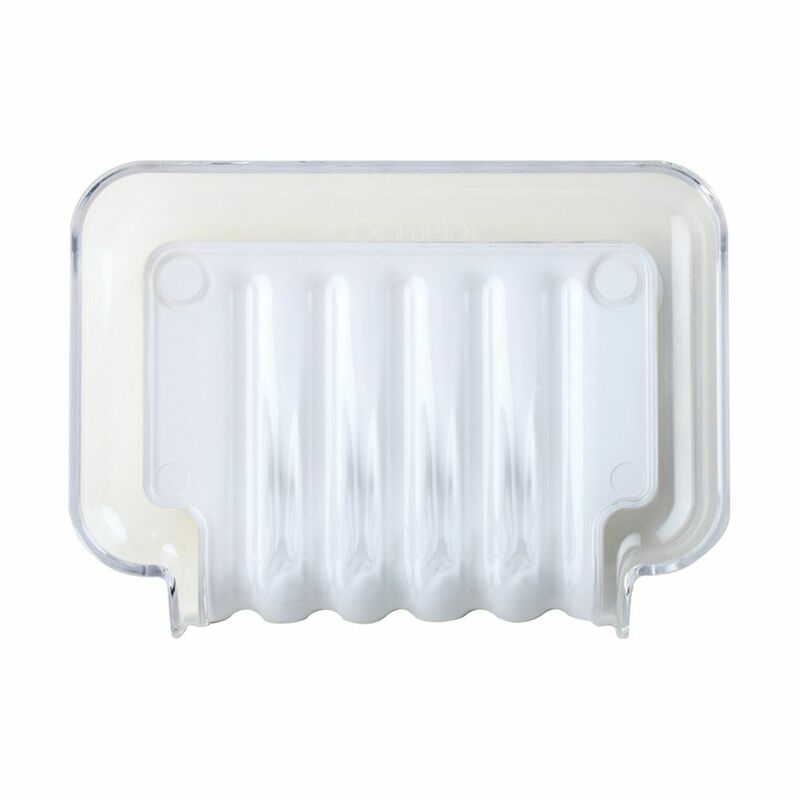 White Trickle Tray The Trickle Tray by Better Living is the fresh answer to wet, smelly sponges and soft, sticky soap. The channels direct water into a sink or bathtub and allow air flow to help with the drying process. Great in the kitchen, bath & laundry room. Replace that messy soap dish with the Trickle Tray or use it as a sponge holder in the kitchen. The Trickle Tray is available in many colours to match any decor and add a burst of freshness to your kitchen or bath!